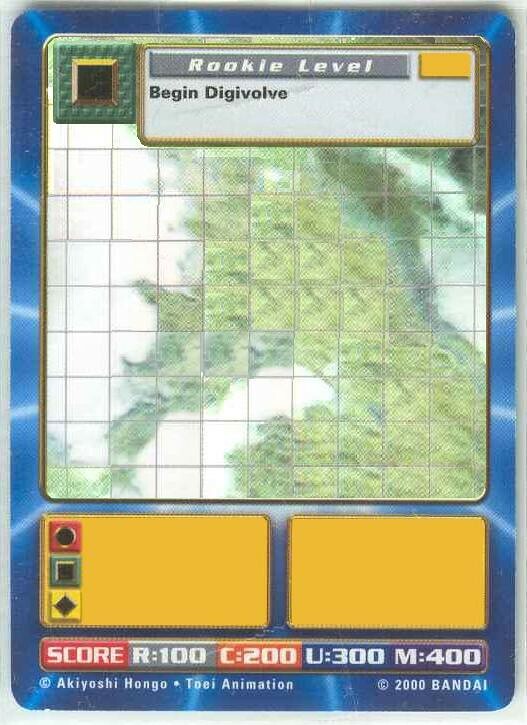 I've been searching the net for a Digibattle Card game Template for making dream cards cause I'm no good at drawing the whole thing out, but to no avail. Anybody know how to get one? BTW, I have no sacnner or printer, so don't suggest having me scan my own cards I have at home. What I have to say about Digimon is its one of the easiest games to make a template for. For the new style cards, you only have to cut the middle out! and then replace it with your own photo. The original cards is a pain to cut around the power option cards but try the new style cards. Thanks! Sorry for not replying to you in so long, I kinda forgot about you after I masnnaged to post a dreamcard of the card I made because of your advice, oops! Sorry! Anyways, it's my only dreamcard, so it shouldn't be too hard to find. It's a Digimon egg!